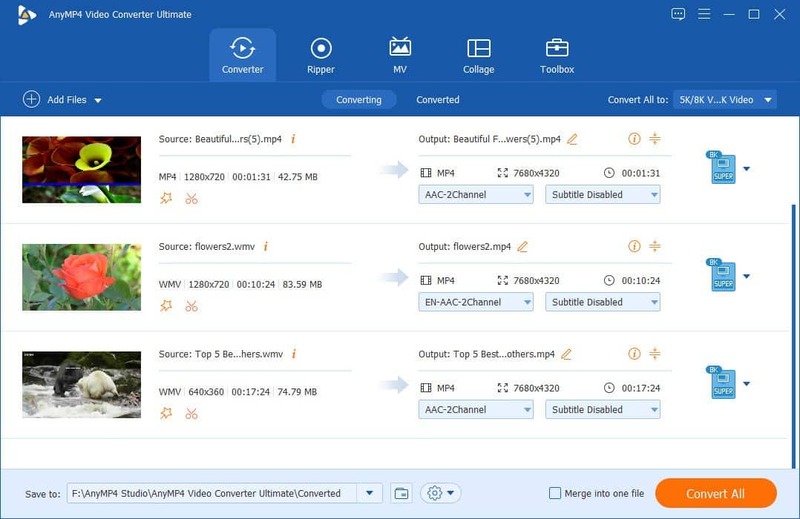 AnyMP4 Video Converter Ultimate helps users convert any video to all popular video (VOB, MP4, AVI, MOV and more) and audio (AAC, AC3, MP3, M4V and more) formats. It allows users to convert among any audio, now this software can also support 4K videos. Moreover, users can easily enhance the video quality and rotate video to the right angle with ease.